In 1987 Mr. Purcell founded Newport West Custodial Services, which he built to $1 billion AUM and sold to Commerce Bank of Newport Beach, where he then served as the bank’s Senior Vice President in charge of the trust department. 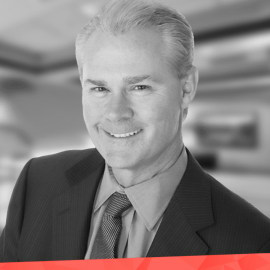 He is the Founder and CEO of FundAmerica, a financial technology firm providing software and back office services to banks, trust companies, broker- dealers, investment advisers, securities exchanges, SEC registered transfer agents, and large issuers (primarily real estate companies). FundAmerica’s software enables escrow management, payment processing, PATRIOT Act compliant AML, transfer agent and broker-dealer compliance for professionals engaged in activities pursuant to Titles II, III and IV of the JOBS Act. He is a founding Board member of the Crowdfunding Intermediary Regulatory Association (CFIRA) and the author of the book “The Definitive Guide to Equity and Debt Crowdfunding” as well as the “Industry Best Practices for Funding Portals”. He is the author of “BD and Registered Portal Regulatory Mechanics” and has been an active editor and co-author of numerous other industry papers. He also started a fixed income trading firm, a clearing broker for institutional investors and published a book "The Guide to Fixed Income Investing". In 1994 he founded Epoch Networks, one of the world's first internet service providers and, as a Board member of the Commercial Internet eXchange often represented the nascent industry before Congress and the FCC. In 1999 he founded OnAir Networks and built the first music storage and streaming services for Sony and Universal. During this time, the Recording Industry Association of America retained him to advise them on internet technology issues and copyright matters and to represent the recording industry before Congress as their technical advocate for intellectual property rights.